We’ve just returned from dinner with Gill and Jaso (he’s back from London!) so I’m all happy :). Even though it’s been 8 months since I last saw Jaso (and this was during Jo’s wedding in Kuching , how time flies) hanging out with him felt exactly the same from when we last left off, I guess that’s how I know that he’s a friend for life. Saturday lunch. I took these pictures for Jan and Andy because they love the food at Manise. 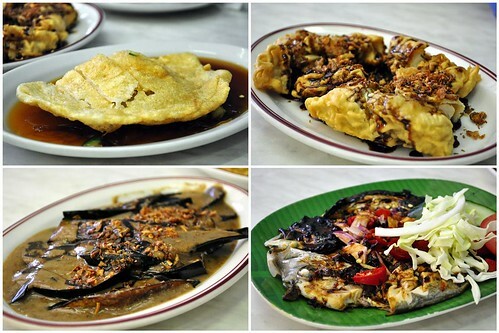 From clockwise, there’s Jo’s must-have empek empek, fried tofu with sweet soy sauce, eggplant with peanut sauce and ikan bakar manise (grilled fish with special manise sauce). All very yums actually. Sunday lunch bento prep. 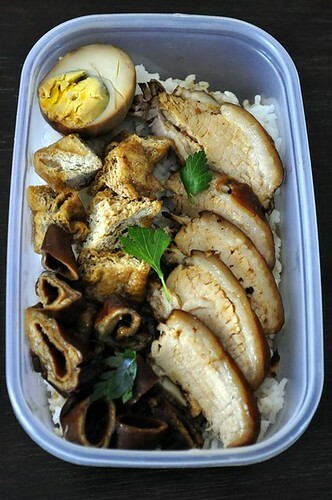 This is R’s loh bak bento with braised belly pork, tofu puffs, hard boiled egg and braised pig intestines. I’m getting good at cleaning those intestines but they’re still hard work. 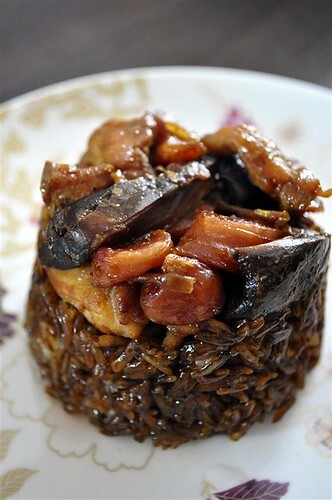 Loh mai kai (steamed glutinous rice with chicken, mushrooms and chinese sausage) for Jo and HC’s snack tomorrow. 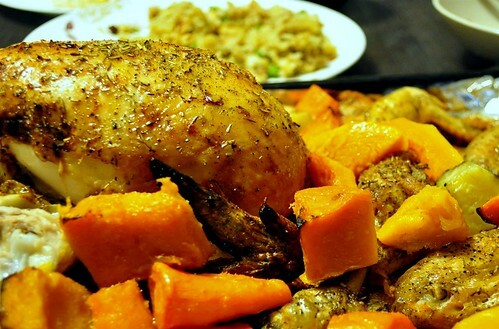 Btw Jaso if you’re reading this (he claims he reads my blog.. hmmm..) stop complaining that I never invite you over to my house, I promise a home cooked dinner at my place before you go back to London ok? That can be your birthday present haha. Sorry for the lack of updates (aimed at Jan, my most loyal reader)but I’ve been extremely lazy and indulging in a TVB drama coma. The tv has just been moved into the bedroom too which means I’m now a bed potato. Last week we had takeaway pizza for mid week dinner! 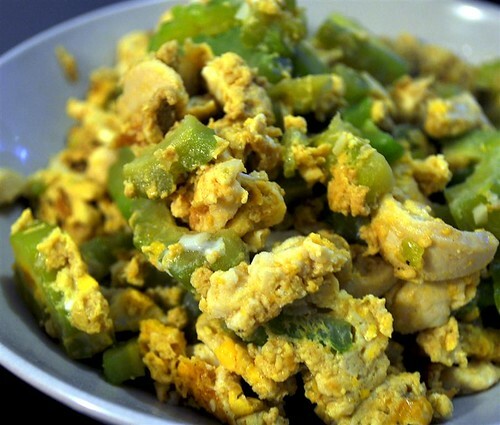 I love it when Jo gets her fast food cravings (which is often) and we get to have takeaway bad food for dinner. This time it wasn’t just the normal Dominoes though but Little Caesar’s pizza which is easily one of the most popular pizza places in town. 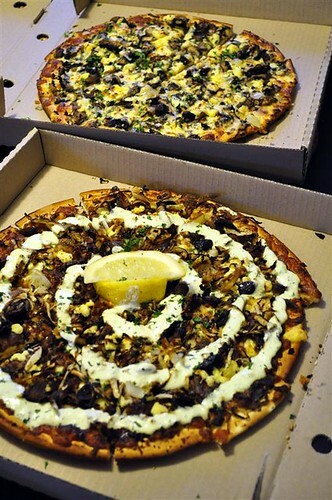 They do special pizzas there, the ones featured above include their Mushroom Records pizza and their Greek Lamb pizza. The pizzas didn’t taste so good takeaway though, much better eaten on the spot but the restaurant is always way too busy to get seats. 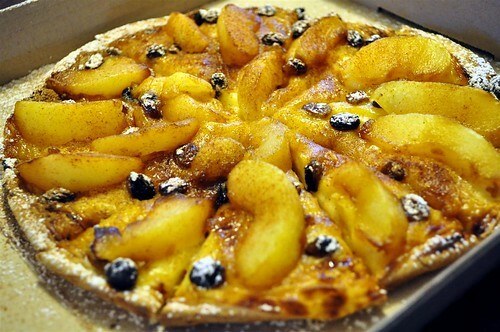 Apple strudel pizza for dessert! Yums. R and Jo didn’t like the pizza though, maybe the cinnamon was too overpowering? I guess for a good apple strudel, Corica beats this pizza any day. 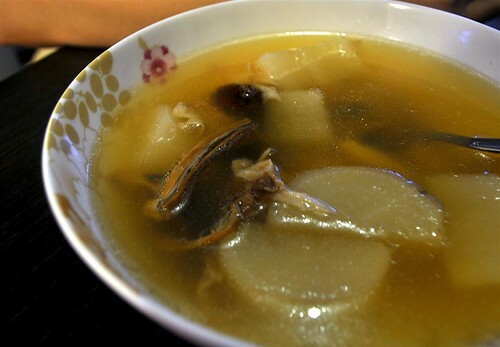 I can’t remember whether I’ve blogged about Emperor’s Kitchen before. I’m almost reluctant to because I don’t want it to become too busy and crowded. 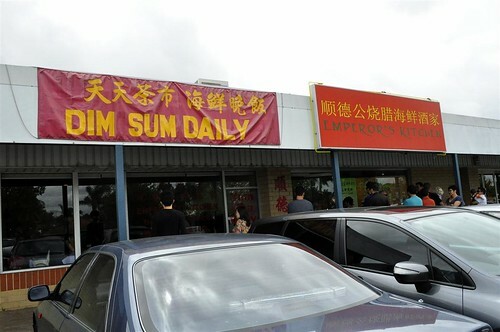 Emperor’s Kitchen is away from the dimsum haven of Northbridge and located in Leeming. We knew about this place because our good friend’s father works there as a dimsum chef during the weekends. So obviously the dimsum was going to be superb :). 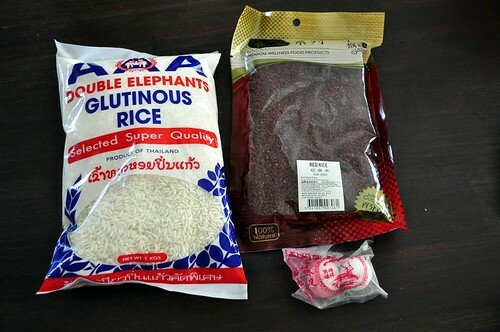 I like it that there’s lots of variety available in Emperor’s Kitchen. 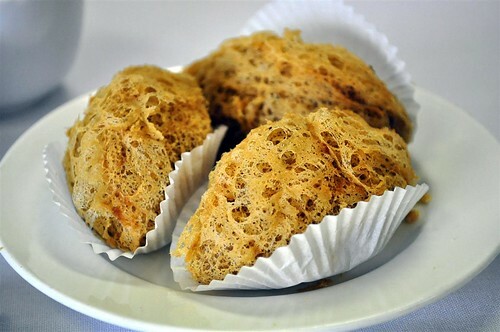 Like this yam puffs which were delicious and are not sold in many dimsum restaurants in Northbridge. 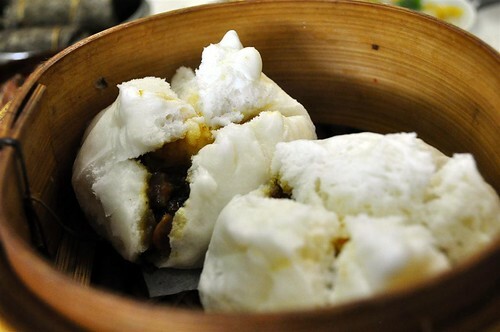 Good charsiewbao is a must for me to rate any dimsum restaurant and I liked the ones in Emperor’s Kitchen. 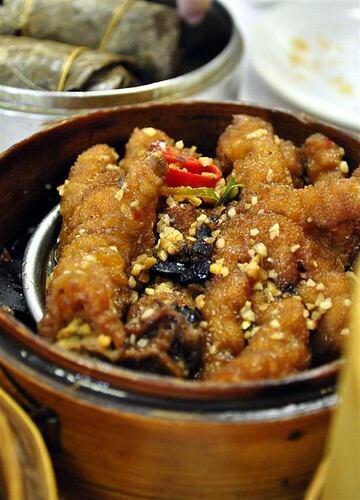 Favourite chinese delicacy of chicken feet. Very flavourful. 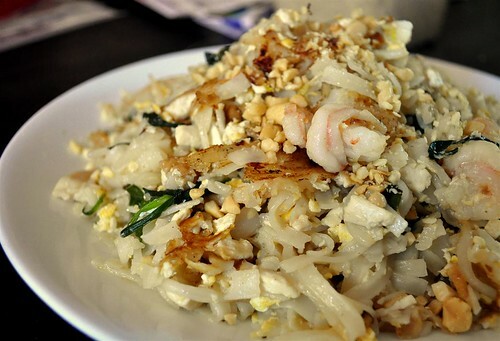 Everything in Emperor’s Kitchen is generally really tasty and we would return a lot more often if it was closer to town. 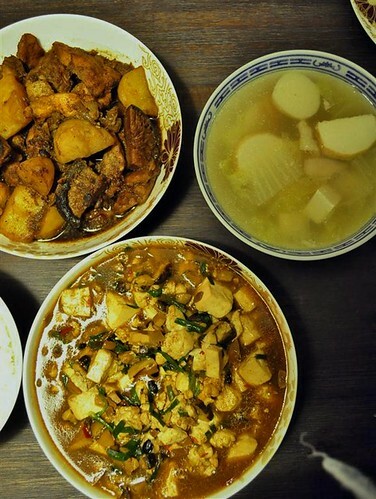 Sunday dinner of mapo tofu, cabbage and tofu soup and chicken pong teh.